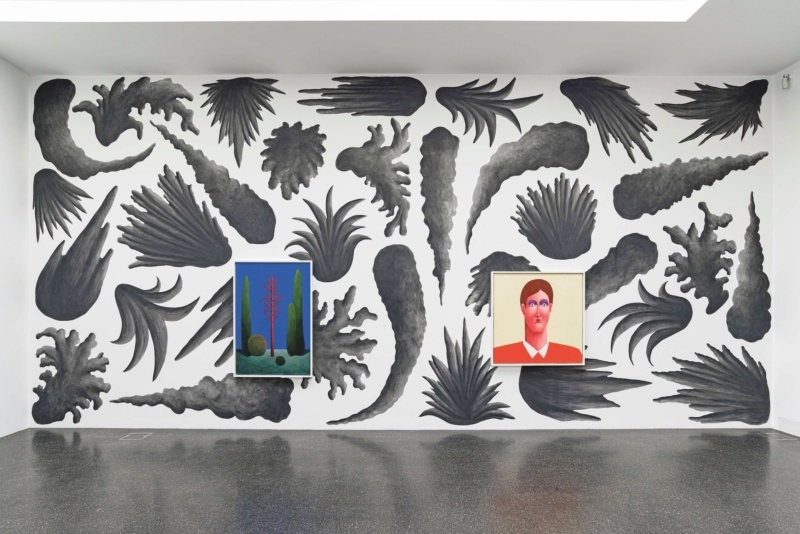 Installation view of Nicolas Party’s “Pastel et nu” at the Centre Culturel Suisse in Paris, 2015. 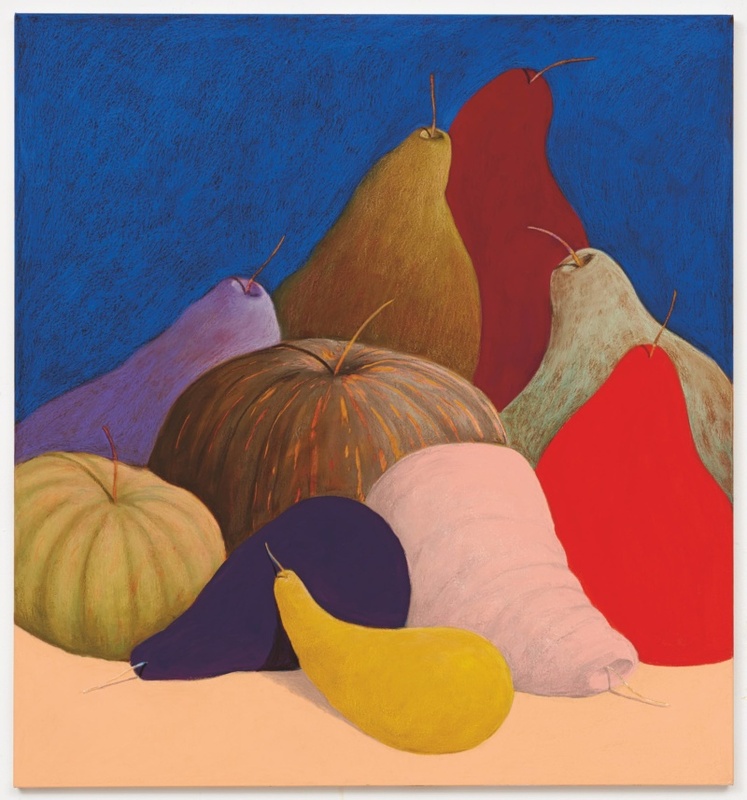 When the Magritte Museum in Brussels shipped some of its well- known René Magritte paintings to the San Francisco Museum of Modern Art for an exhibition there, curators chose 38-year-old Swiss artist Nicolas Party to fill the void, literally. On the museum’s empty walls they hung Party’s mysterious, intensely saturated pastels. In spirit, they evoked something of the Surrealist master himself. Party works in a figural vein, depicting mountain landscapes, a picture of an owl or a tree, a pair of stylized human faces. Even though you can read the shapes, each image always carries with it an uncanny strangeness. The forms are cleanly and sharply delineated, but the lack of smudges, drips or any messiness doesn’t make them any more fathomable. The art world has taken note of Party’s talent, which refreshingly fits no known current trends. In 2017, he had a solo show at the Hirshhorn Museum and Sculpture Garden in Washington, DC, and he is now represented by Xavier Hufkens Gallery in Brussels, the Modern Institute in Glasgow, Gregor Staiger in Zürich and Karma in New York. 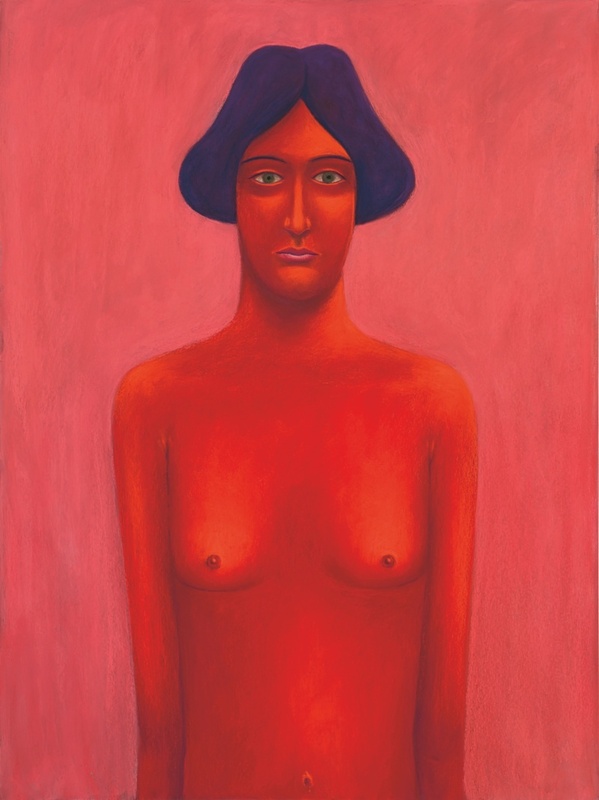 Nicolas Party’s Red Portrait, 2018. Courtesy of the artist, Xavier Hufkens and the Modern Institute in Glasgow. Party currently lives between Brussels and New York, but is shifting his life to the American side more and more. He was born in French-speaking Lausanne, Switzerland, and started drawing early. “Since as far as I remember, my family always told me, ‘You’re an artist,’” he recalls. “I was really having a lot of satisfaction with it at a young age. Still to this day, the moments that I feel the best are when I’m in my studio.” He sold paintings to his family, and even to his dentist, as a teenager. Party managed to transition into polite society, getting a BA from the Lausanne School of Art and an MFA from the Glasgow School of Art. Although he spent a decade or so working in the gig economy, he was always making his own art, tending toward two dimensions but also working in sculpture; to this day, he makes 3D-printed objects and paints them, too. Nicolas Party’s Still Life, 2017. Courtesy of the artist, Karma and the Modern Institute in Glasgow.